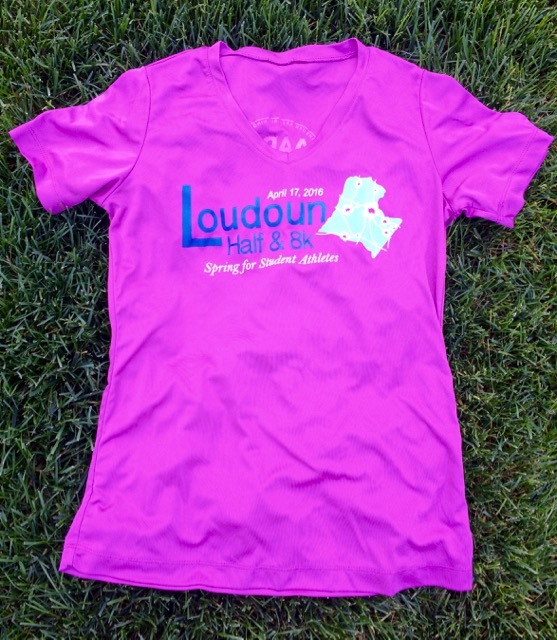 When my friend Lesley asked if I’d be interested in helping promote this year’s Loudoun Half and 8K on social media in exchange for three free race entries (one for me and two to give away), I jumped at the chance. 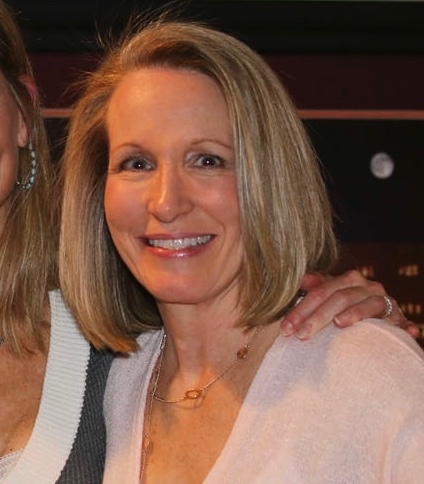 Since I had run the half in 2014 I knew it would be a well-run event, and with Lesley in charge as the race director, I knew both races would come off without a hitch. I need to point out that even though Lesley gave me a free entry into the race, I will still write my recap with the same honesty as with all of my other recaps. 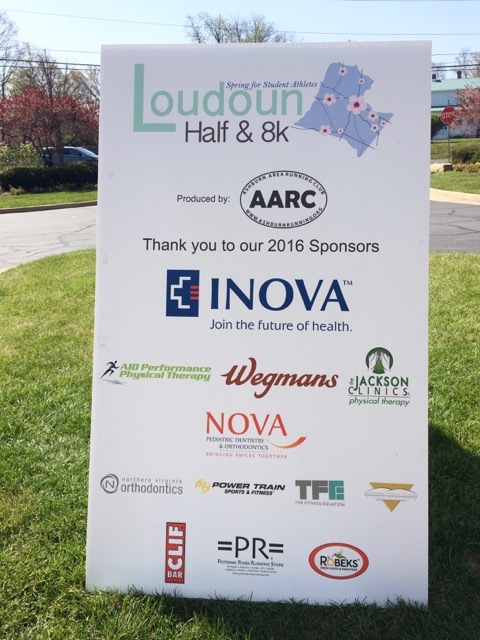 The Loudoun Half and 8K are produced by the Ashburn Area Running Club (AARC). 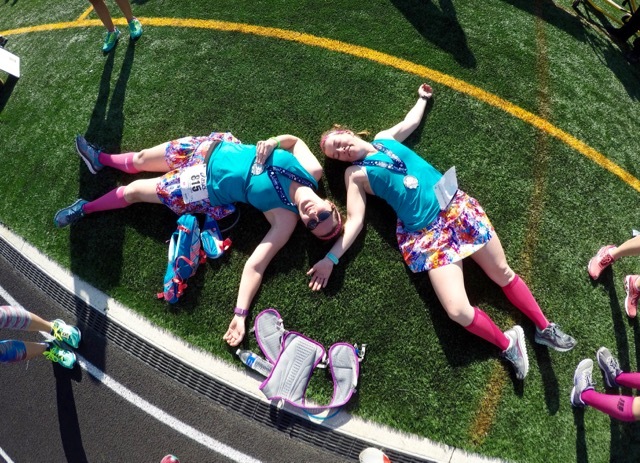 When runners put on a race, very few details are overlooked, and this is no exception. 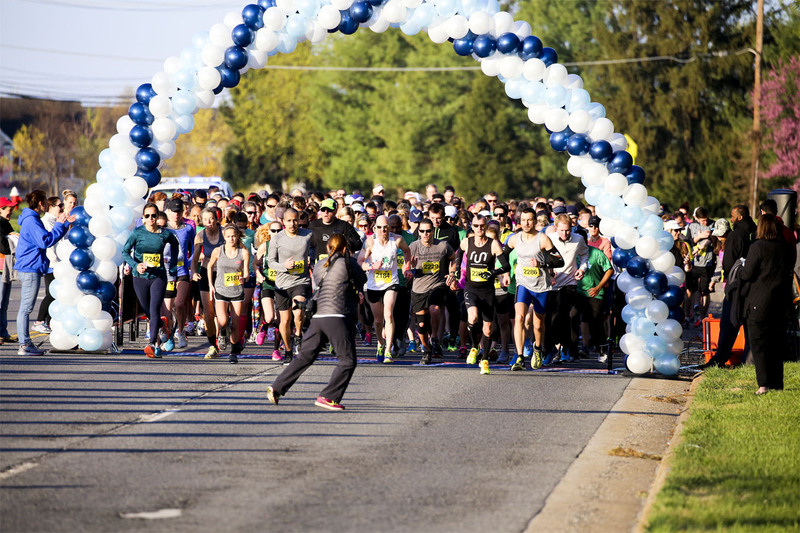 It’s no surprise that the Loudoun Half has been named the best half marathon of the Mid-Atlantic Region by readers of Competitor Magazine both years since its inception. 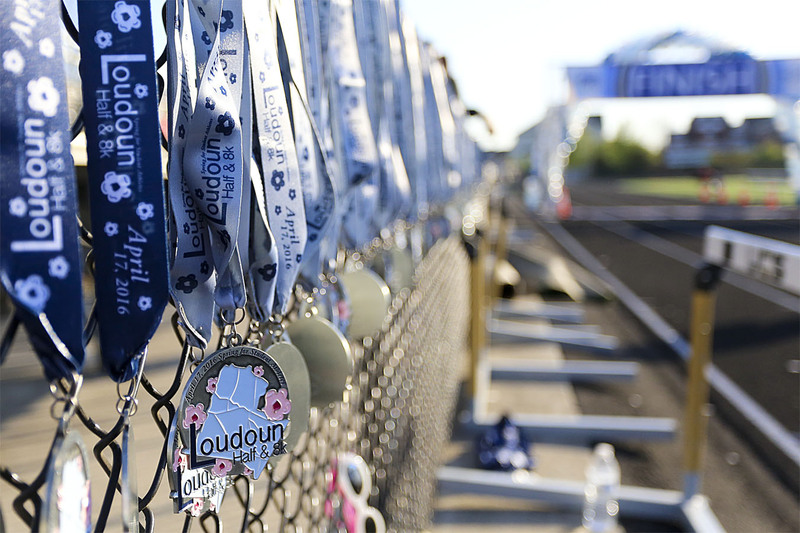 Race proceeds continue to support Loudoun County’s high school cross country and track and field programs. 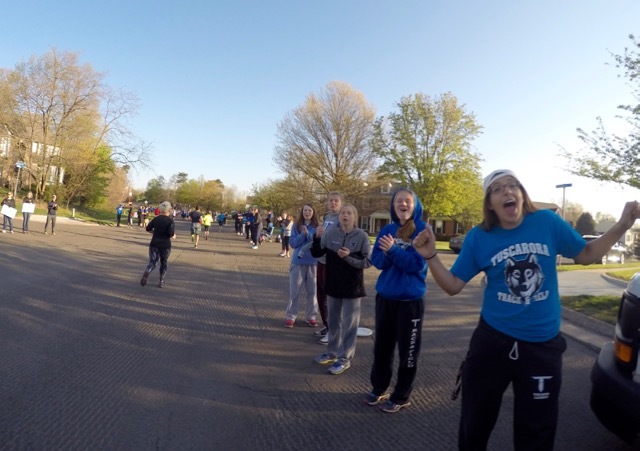 As a result, it was not surprising to see students manning the water stops and screaming their heads off as we ran by! 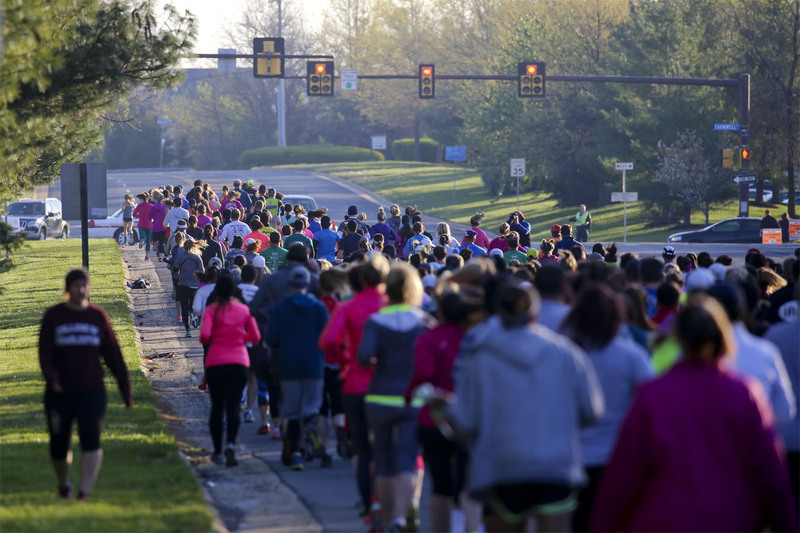 Despite this year’s race starting and ending at a different high school than the past two years, parts of the race course were run along the same streets and trails as in the previous years. Since I ran the half two years ago and the 8K this year, I can’t compare the two courses; but my friends who ran both half courses told me that this year the hills were more front loaded and they liked it better than hitting hills at the end of the race. Saturday afternoon I stopped by the Potomac River Running Store to pick up my race packet, and was immediately met by Lesley outside the store. Once inside, I saw my friend Susan manning the race registration table. 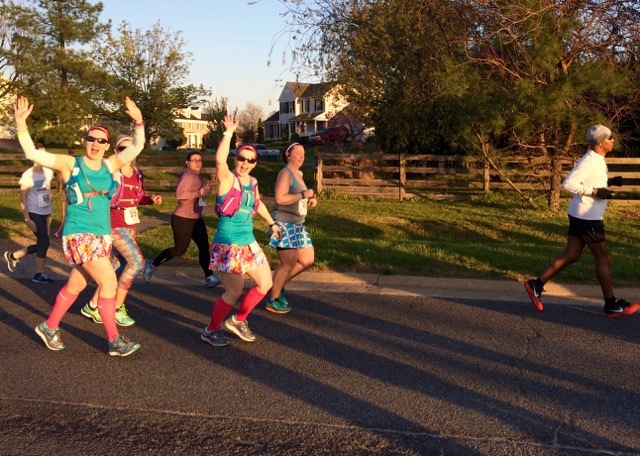 Friendly faces always add a touch of community, and this is exactly what I think makes the Loudoun Half and 8K so special! After chatting with Susan and then moving on to pick up my bib, I walked over to get my shirt. I was very pleased to see the shirt color and style and knew immediately that it was one of my favorite race shirts to date. Once home, I eagerly tried it on and was thrilled with the perfect fit! 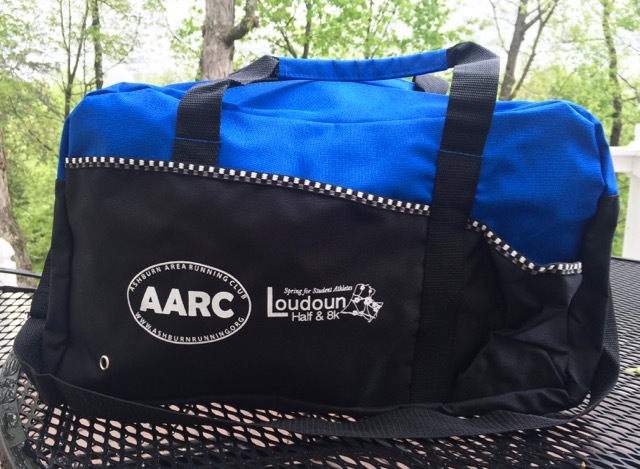 I also received this fabulous gym bag for registering as part of a team (MRTT) of twelve or more runners. Once back outside, I stopped long enough to snap a picture of this sign thanking the race sponsors because without them, races would be pretty hard to pull off. Home from packet pickup, I picked my paint brush back up and continued standing in the sun painting for the rest of the day – seven hours total on my feet is something I normally wouldn’t do the day before a race, but it needed to be done. By the time I finished and showered, it was 9 PM before I sat down to a dinner of a burger and fries – again something I’ve never done the night before a race, but at this point, what the heck. Surprisingly, I wasn’t very tired and got up much earlier than necessary on Sunday morning. Since I’d had a very unorthodox pre-race day, I decided to throw caution to the wind and wear my new race shirt in the race – to me, a huge no-no. My rule is that you haven’t earned the shirt until you’ve run the race, but hey, when the shirt is that cute, why not break the rules! 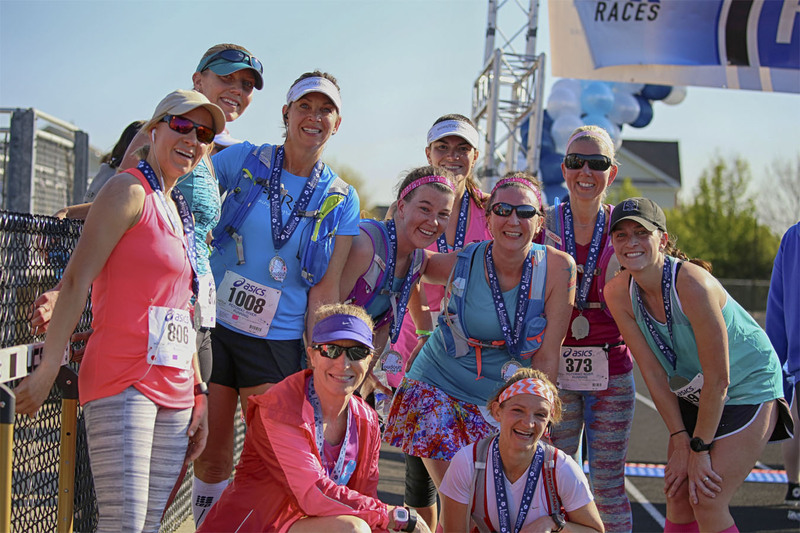 I planned to run to the race to get a couple of miles under my belt, and had hoped to meet my MRTT friends before their half marathon pre-race group picture meet-up so I could wish them all a good race. Unfortunately, I didn’t manage my time well, left home too late, and arrived just in time to meet the half marathoners heading out as I ran toward the high school. I stopped and cheered my friends on, and captured this picture of Erin and Melissa as they ran by. 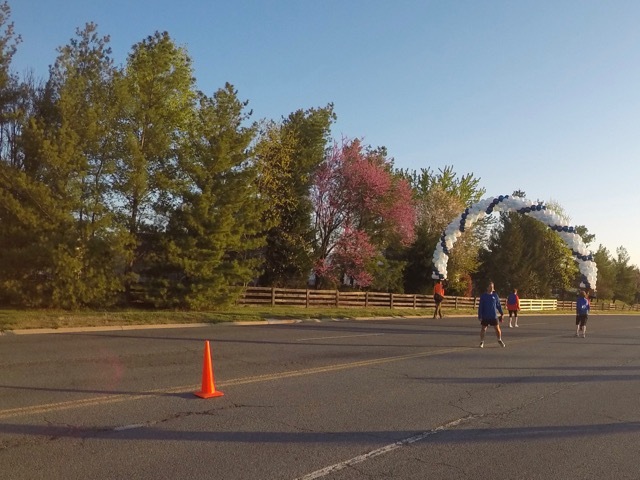 Once the half marathoners had left the area, race officials carried the balloon starting line arch about a quarter mile down the street to set up for the 8K race. It was kind of fun to watch (it looked like a very small parade), and I wish we’d gotten a video instead of pictures. 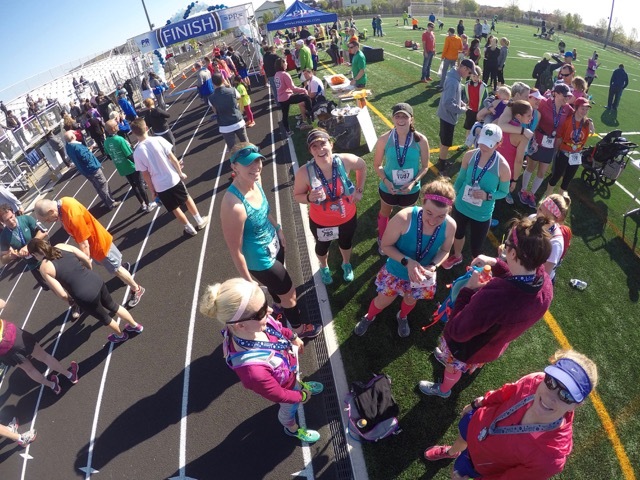 After a trip inside the high school to use the restroom – yep no need for porta potties at this race – I met my other MRTT friends who were running the 8K for our pre-race picture. 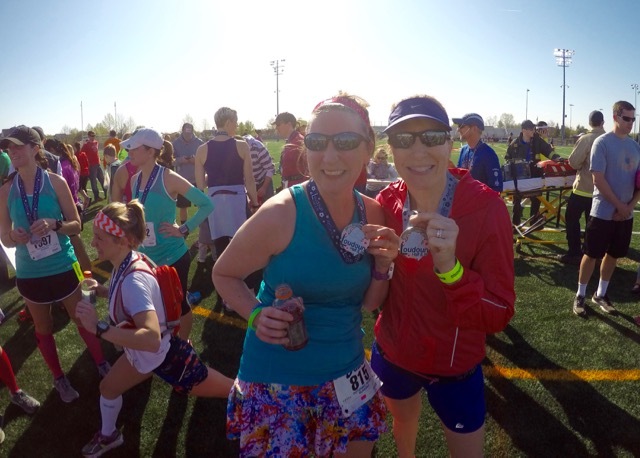 We did a quick, “Go MRTT,” and then headed to the starting line. Just before the start of the race I took a quick picture of the sea of runners with my GoPro. 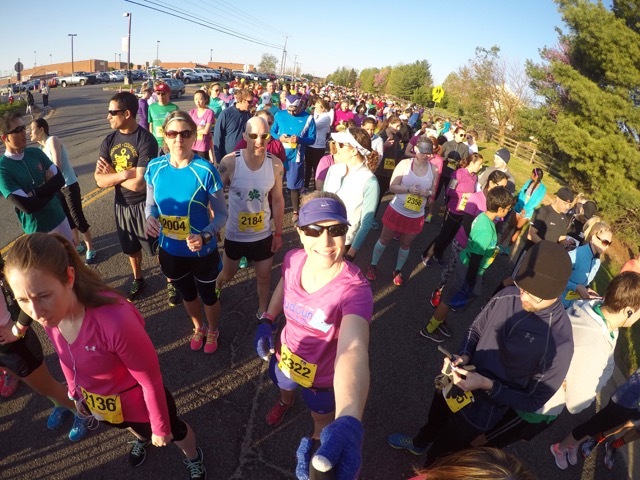 Lesley saw my selfie stick pop up, and later announced that I was there with our MRTT chapter and that we had the largest group in attendance – I think she said we had 40 runners signed up. Bill captured this fun image of one of the race photographers in position to jump out of the way as soon as she took the race start picture! I have no idea what size lens she’s shooting with, but I have a feeling that she’s not as close as it appears. As we ran past Bill, he turned and snapped this photo. The race course wound through neighborhoods I’m very familiar with, and have run countless miles on. Unfortunately, this half-mile long section of street had been milled, but not yet paved on race day so it was a little rougher than anticipated. Despite the bumpy road, I never felt like I was about to trip and all was well. 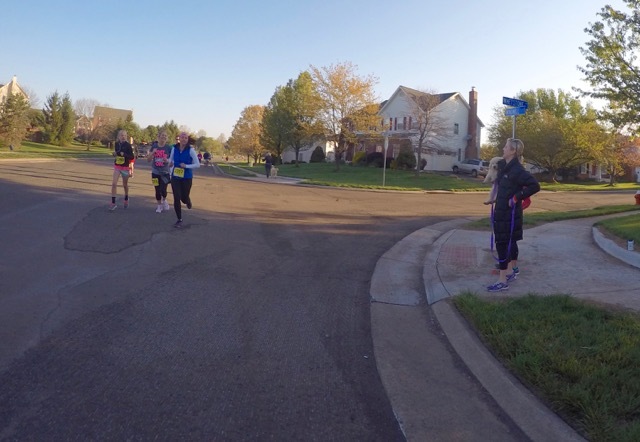 Shortly after turning onto the rough road, I ran past two of my training friends who were out cheering us on. Tiffany can be seen below on the right with her little Golden Retriever fluff-ball puppy, and Tracy is hiding behind her. Two miles into the race, we passed through an alley of screaming student athletes cheering us on. There was a water stop toward the end, and I paused just long enough to slurp down a cup of water. While the runners were out on the course, my husband was back at the finish line taking fun and artistic pictures. 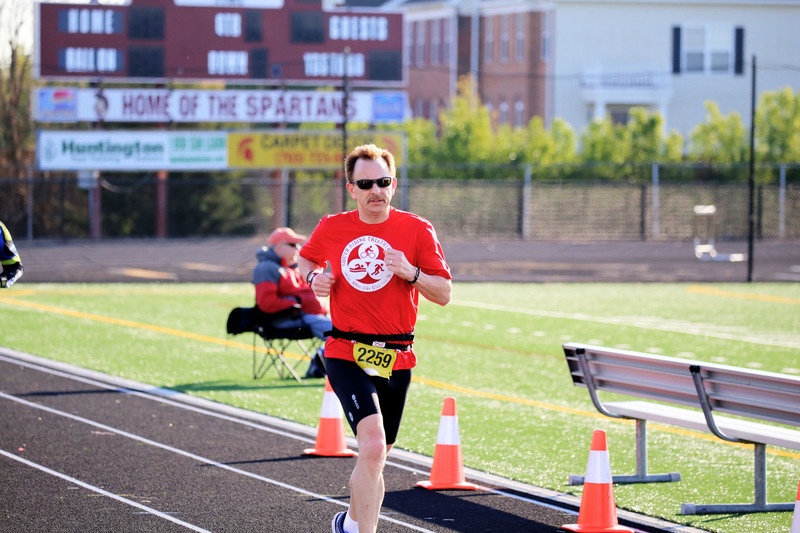 As the 8K runners started coming in, Bill captured the Cruisers crossing the finish line. Jerome was first of our friends and won his age group! I came in shortly after Jerome with a time of 43:03 (8:36 pace) and finished 5th out of 31 women my age group of 50-59 year olds. Our age group winner finished in 39:46, and the next four of us finished within 42 seconds of each other. I mention this because I think it’s pretty darn impressive to have that many women in our age group finish so strongly! After finishing my race and catching my breath, I ran a half mile out cheering the runners in as I met them, and then made my way back to the entrance of the track to cheer on runners from there. Eventually I worked my way back over to cheer for my friends as they crossed the finish line and saw Ravi, the first of my Cruiser friends to cross the half marathon finish line. One thing I didn’t notice at the time, but noticed in many of the pictures are the girls handing out the medals. 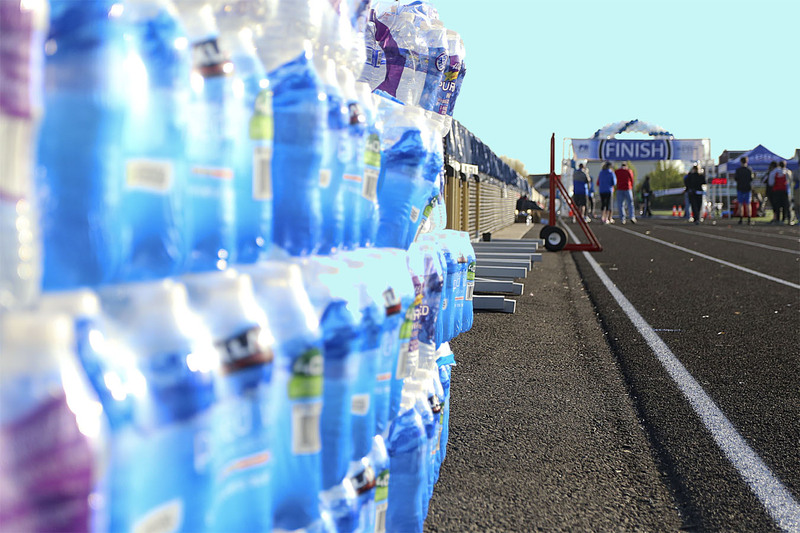 At times they appear on the other side of the finish line shoving medals at runners before they even had a chance to finish the race; therefore, forcing runners to put on the breaks rather than running through the finish. Several pictures that would otherwise be really great finish line shots have the runner partially blocked by arms and heads of the medal volunteers. I watched as Kim came in flanked by two of her children. Toward the end of the race they were along the course cheering their mom in when they decided to join her. It was a bit much for the little guy, so Kim carried him piggyback part of the way. 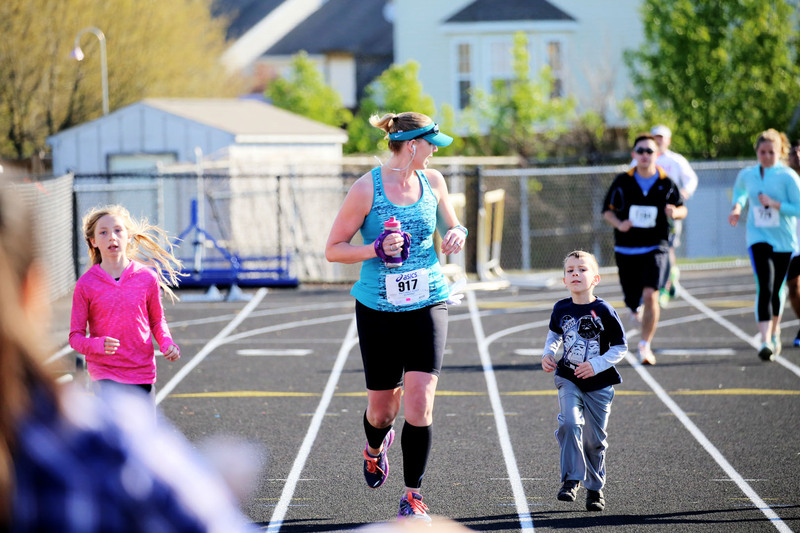 Yes, her pace slowed from an 8-something to an 11-something, but the look on her son’s face as he contemplates the finish line had to have been worth it for her. 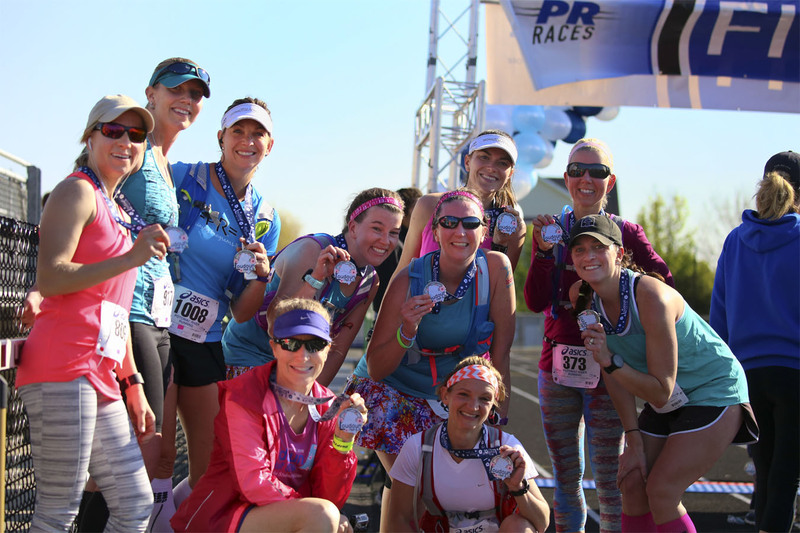 Once most of our MRTT runners had finished the half marathon, we posed for a picture. I think the rest of the 8K runners had left by then because we couldn’t find any of them at that point. As for this picture, I have no words for what these goofballs were doing. I think it had something to do with them being very tired from running back-to-back halves! I do know that when they got up they had little black specks of rubber all over their backs from the artificial turf. Erin and I compared medals, after she pointed out that she ran 13.1 miles and I only ran 5 miles, yet we both received the same medal. I pointed out that I had gotten a boring gray ribbon and that she’d earned a pretty blue medal ribbon for her extra effort. Did she buy it? By the smile on her face, I think she did! 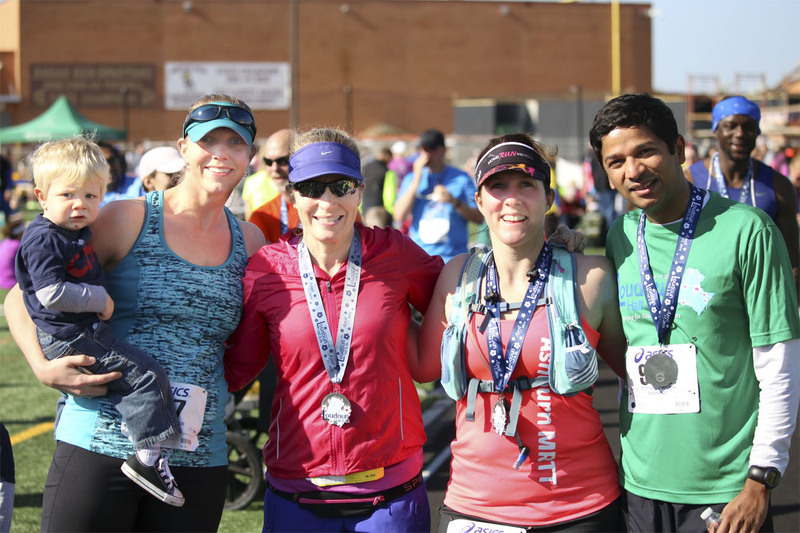 It wasn’t until after Jerome and Ravi left, that we found Kim, Amanda, and Vamshi for our Cruisers post-race picture. It was fabulous having so many friends from my two running groups represent us at the race! 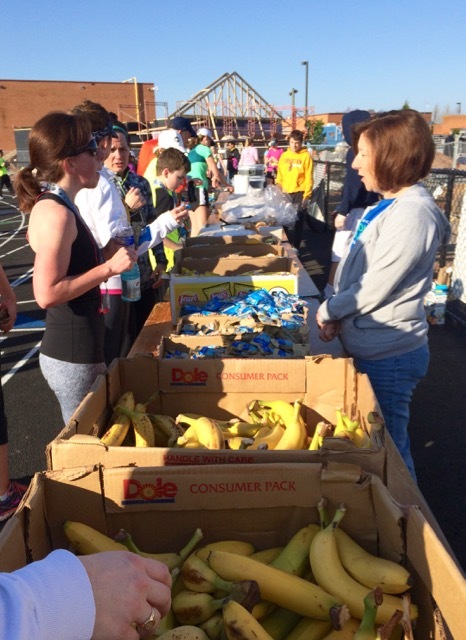 I stopped by the food area quite a while after I finished my race and there was still plenty of food available. In addition to bananas, there were three different flavored Cliff Bars, potato chips, muffins, and fruit chews. I chose two little Cliff Bars which hit the spot. Before we left, I stopped by to see how I’d done at the results table, but couldn’t find my number. I let the people at the timing tent know that I didn’t see my number in the race results, gave them my bib number, and found my results later when I checked online. Our times matched up and all was well. Erin texted me this picture of her medal later after the race, and it was so perfect that I didn’t even try to take one of my own. Why mess with perfection? 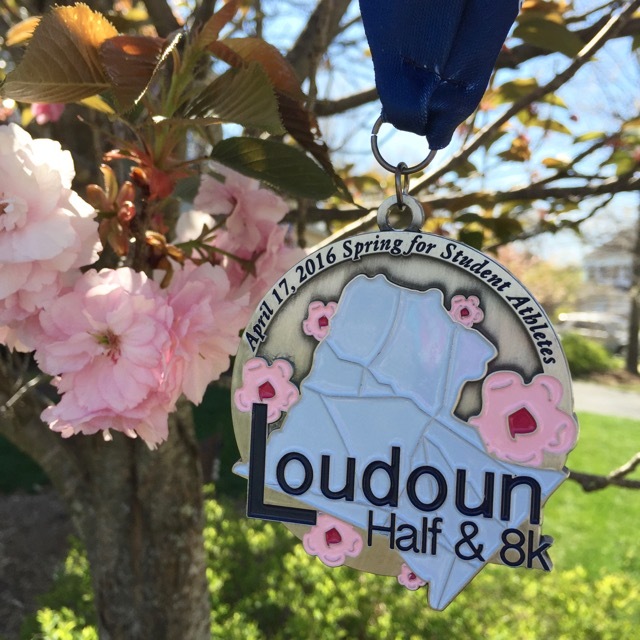 Next April, if you happen to be in the area, be sure to sign up for either the Loudoun Half or 8K. Races of the 8K distance are few-and-far-between, so why not take advantage of racing in this hard-to-find distance? Let’s just hope the weather will be this perfect again next year! 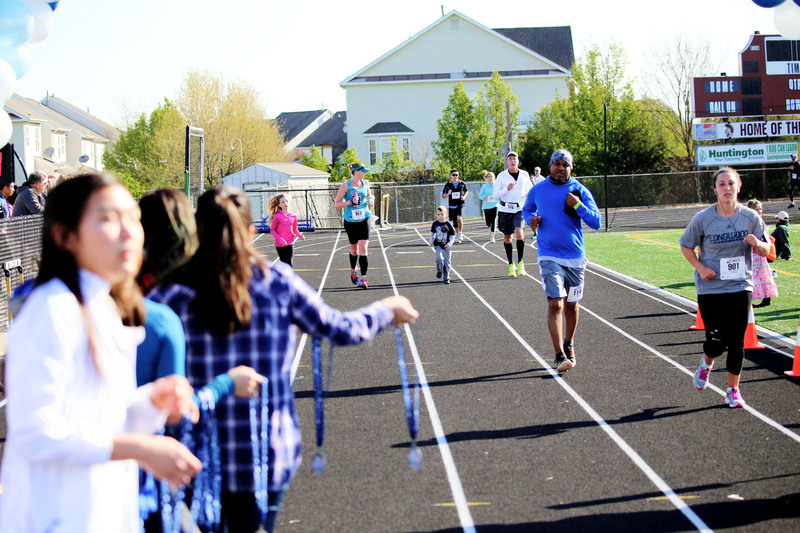 Thank you Lesley, Susan, the rest of the race committee, and all of the members of the Ashburn Area Running Club for putting on such a fantastic race; and inviting me to be a tiny part of the event! 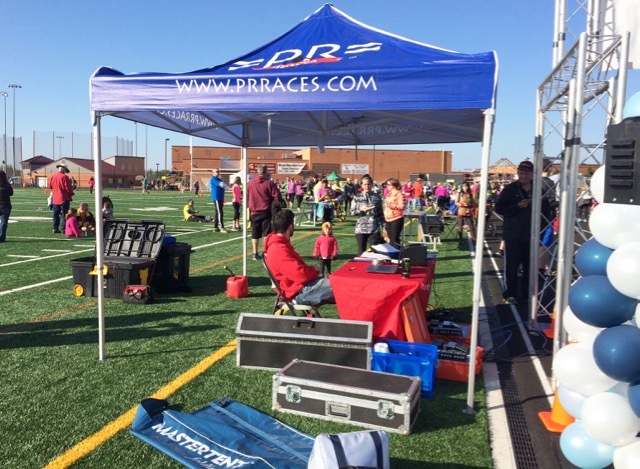 Have you raced in an 8K before? 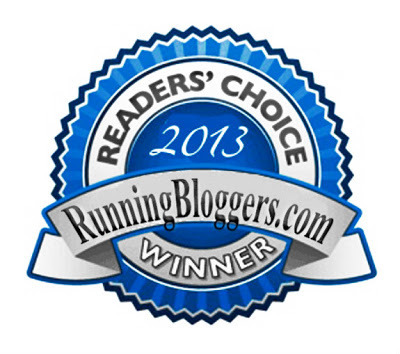 Are you a member of a running club? If so, what’s the name of it? 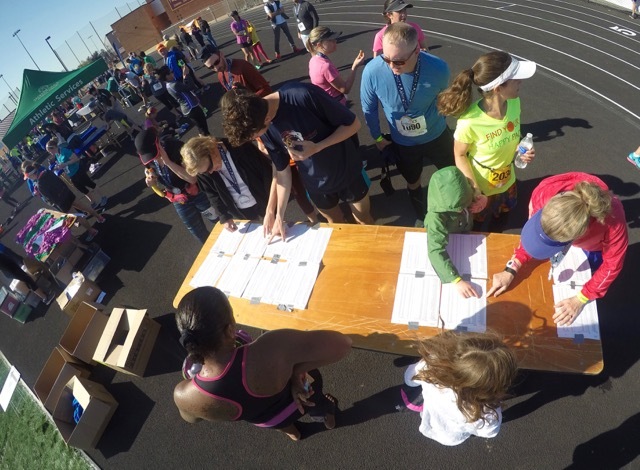 Have you worked on a race committee, or volunteered at a race? You should definitely give it a try one year! What a great event! I love all the action pics, and artistic ones as well. 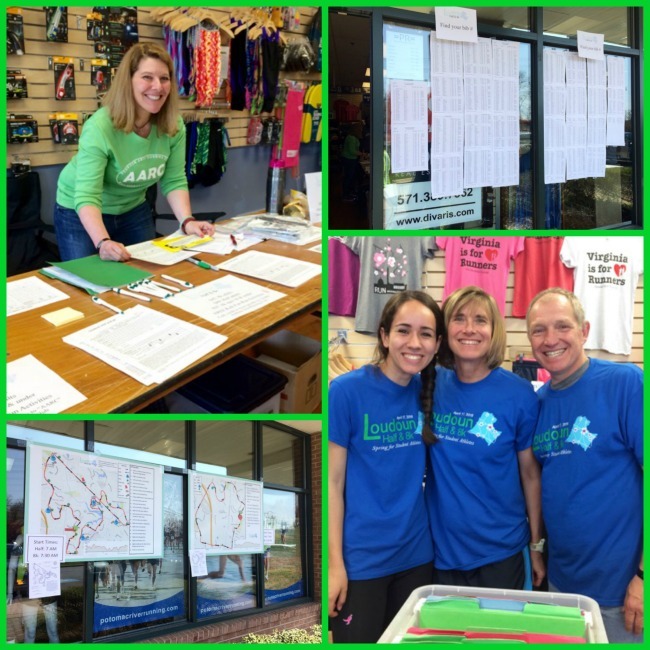 Yes, I have volunteered several times for some local events…as much as I’d rather be running, I know events are not possible without volunteers (so, I kind of take one for the team, and sit it out on the sidelines). 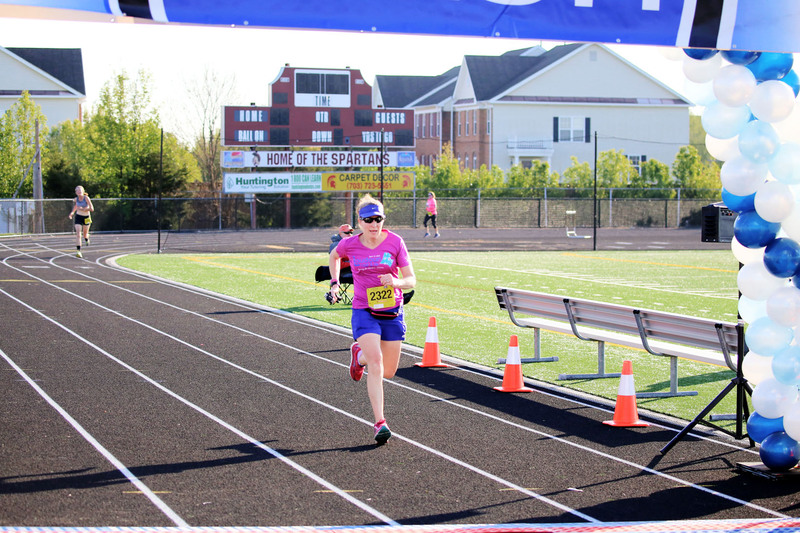 I have done several 8K’s, as well….great distance…not as demanding as a 5K, but still a fun challenge to find that perfect pace and maintain it to the finish line. 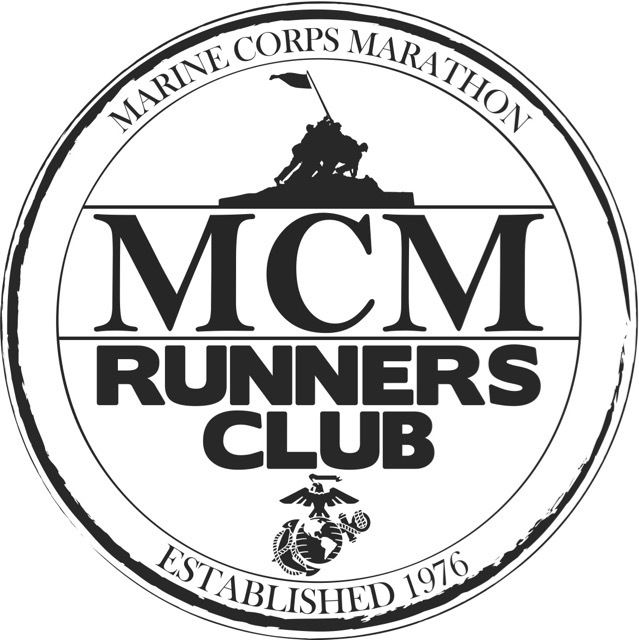 I wish I had an actual running club, we have a group of locals who get together now and then, but our “membership” is so small, it’s very sporadic when all of us are available. I agree, the 8K is a fun distance to race! 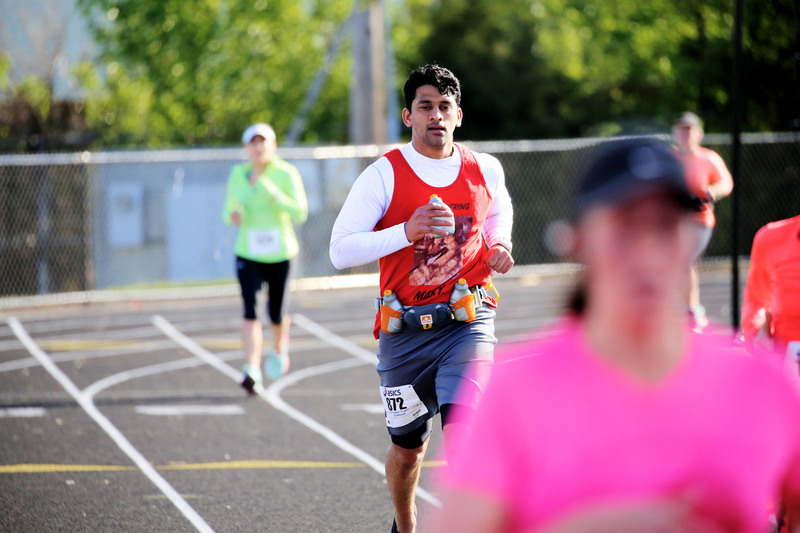 Just wait until you see our Ragnar Trail pictures! My husband took some fantastic ones there! You did fantastic! I love the cherry blossom medal and that is an awesome medal shot at the end. Looked like a perfect run day! I love how the start was set up with the balloons, very cute. 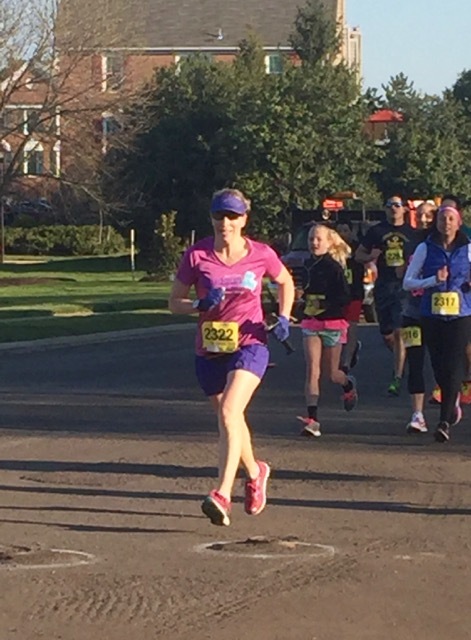 I have run an 8K it has been a few years though….I keep hoping by next fall I will feel good enough to take in a few races. Congrats again! That is a great finish time. Thank you! 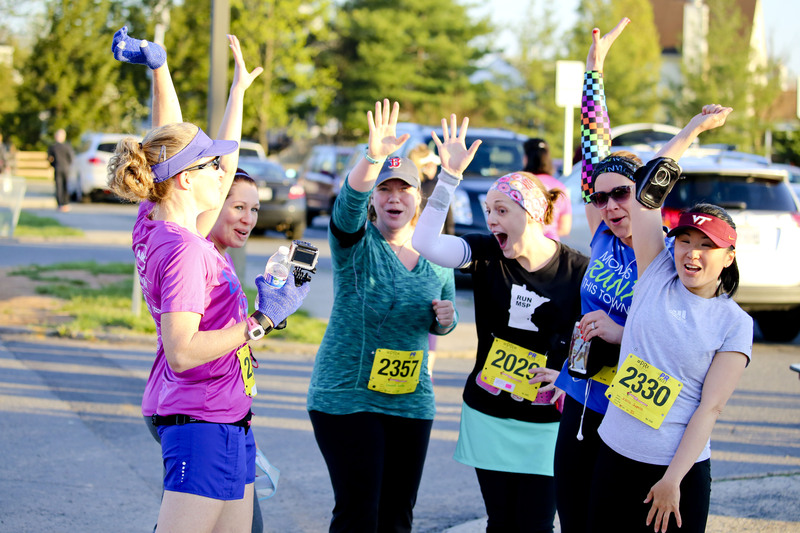 Here’s hoping you’ll be completely recovered and running in lots of fall races! Congrats on a strong race! I haven’t been doing too much road racing (or road running for that matter) but this race looks like so much fun. Plus I love the race shirt and it’s my secret dream to run a race that finishes on a track. That seems like a fun way to end a race. I was laughing about Erin and Melissa laying on the turf and getting covered in those rubber pieces. It’s so tempting to lay on turf but I learned (over and over) in high school not to do that! As always, Bill’s photos are fabulous. I do love finishing on a track, and several of the local races do that. You should come up and join us for one sometime!